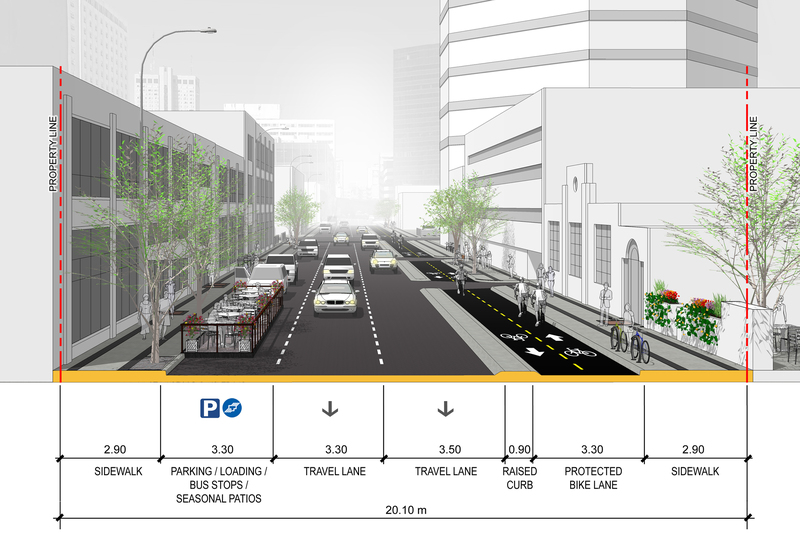 Construction of a new, two-way protected bike lane along Garry Street with connections to the Exchange District on Notre Dame Avenue, Princess Street, and Arthur Street is underway and is expected to be complete in 2019. When complete, the new protected bike lane will provide a safe link from the Assiniboine Avenue cycle track to the Exchange District. The two-way bike lane will be physically separated from vehicle traffic.